In this phase, the U.S. 4th Division was to clear the northern half of the forest between Schevenhütte and Hürtgen, capture Hürtgen and advance to the Rur River south of Düren. From November 10, this would be VII Corps' responsibility and it was part of the main VII Corps effort to reach the Rur. The 4th Division was now fully committed to the Hürtgen, although its 12th Infantry Regiment was already mauled from its action at Schmidt, leaving just two fully effective regiments to achieve the divisional objectives. U.S. VII Corps was opposed by German forces, mainly from the 81st Corps, consisting of three understrength divisions. 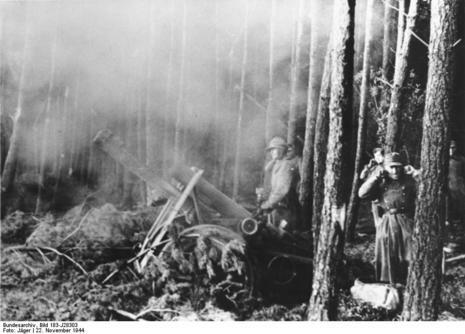 In the Hürtgen, there was the 275th Division — 6,500 men with 150 artillery pieces. They were well dug-in and prepared. 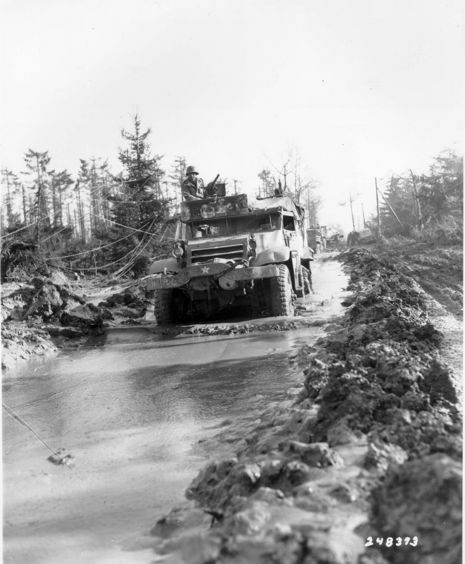 The VII (U.S.) Corps, 1st Army attacked 16 November 1944 with 1st Inf Div, 4th Inf Div, 104th Inf Div, and CCR 5th AD to clear Huertgen Forest and the path of 1st Army to the Rur River. After heavy fighting, primarily by the 4th Infantry Division, VII Corps' attack ground to a halt. V Corps was committed on 21 November 1944. Attacking with 8th Inf Div, and CCR 5th AD, the V Corps managed to capture Huertgen after stiff fighting on 28 November 1944.